TORONTO - A Canadian professor's 10-year-old book is back on the bestseller list and he has Donald Trump to thank for it. Wolff's book portrays Trump as a leader who doesn't understand the weight of his office and whose competence is questioned by aides. 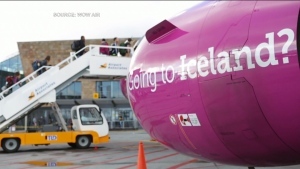 “I was hearing ”Fire and Fury“ all over the place and I perked up every time I heard someone use that title,” said Hansen, the interim director of the Munk School of Global Affairs. After a few glasses of wine on Friday, the day when Wolff's book was released, Hansen said he logged onto Amazon and found his own book had made it onto three bestseller lists. “The book is 10 years out and it had been languishing for years and suddenly it was on three bestseller lists,” Hansen said. Wolff's book about Trump was the only logical reason for the sales bump, he thought. So he shared that thought with his Twitter followers and went to bed. When he woke up, the tweet had been shared more than 1,000 times and in came interview requests from international media. He said he won't know how many people ordered his book by mistake until his royalty cheque arrives in about a month's time. But he only had a few people complain to him on Twitter that they meant to buy Wolff's book instead. 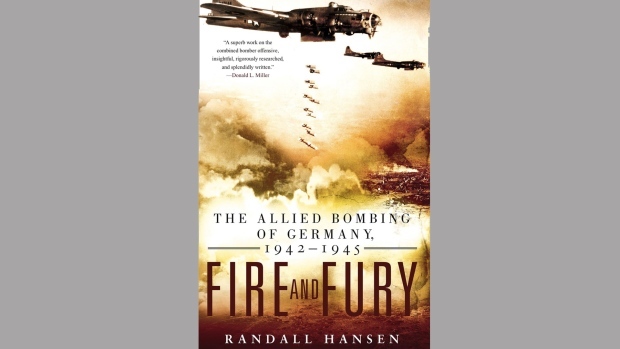 Hansen's book, which was nominated for a Governor General's award in 2009, details the effects of the carpet bombing of Germany on civilians, mostly people who were children at the time. “If there were innocent Germans, those were the children. I wanted to use the case to reflect on morality and war,” he said. The sales don't really matter, he said. “What would be gratifying to me is that if at this moment where we have an unstable, deranged demagogue operating the greatest army the world has ever seen that more people read a book about the horrors of war and the terrible effect on the civilian populations,” Hansen said.